A 125-ton capacity mobile crane was lifting a 60-foot, 25-ton beam off a trailer to place on an abutment. The crane operator had no problems during the lifting sequence’s first two movements. After booming down, he brought the controls back to neutral. The brakes did not engage as expected and the load fell to the ground. No workers were injured during this incident. Temperature: A significant drop in temperature can cause slight shrinkage of the brake band. When clearance tolerances are set too low, any shrinkage could cause the parts to seize. Moisture: Excess moisture on the brake drum can cause the brake to slip. Also, any moisture between the lever and pin can freeze in cold temperatures, causing the brake to slip. Corrosion: Corrosion on the mating faces can build up and cause interference. Lubrication: Due to the lever’s minimal movement, any grease applied from the fitting would have difficulty lubricating the full circumference of the pin, as per manufacturers’ design specification. Brake lining wear: Adjustments on the brakes need to be verified periodically based on the crane’s usage. Even wear of 0.002” on the brake lining can compound the effects of the lack of movement on the lever. When conducting preventive maintenance on equipment, remove the pin at the end of the rod and rotate to confirm free movement. This allows the lever to be verified for free movement, without disturbing the brake band adjustments. Groove the lever’s internal surface to allow for better grease distribution. 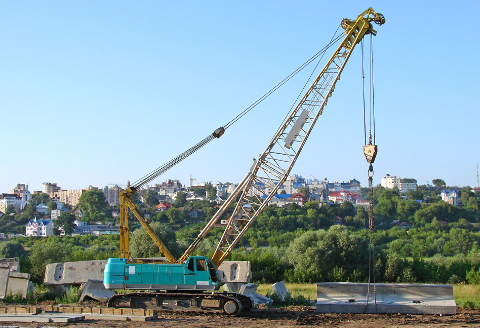 The manufacturer must design and approve any crane modification. Install a grease line to a location where the fitting is easier to access. Precaution must be taken against over-greasing. Again, the manufacturer must approve any modification. Install an air dryer on the pneumatic system to prevent the possibility of condensation building up in air lines during cold weather operation. Silicone can be used to seal any openings that may have let moisture into the system. Brake covers can be modified to make them easily and quickly accessible, to check for moisture during adverse conditions. Contact crane manufacturers periodically (every six months, for example) for unit updates, upgrades or modifications. An inquiry into recently recorded accidents or near misses is also suggested.